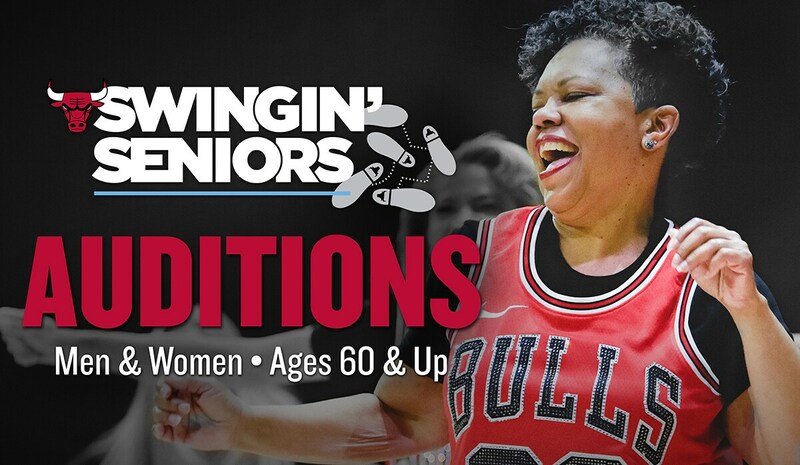 The Bulls are looking for Chicago's most talented and energetic Seniors to represent the organization and this great city! Doors open at 3:00PM for registration and close promptly at 3:30PM. Must be at least 60 years of age as of August 11, 2018 - please bring ID. Must have a great personality and love to dance and perform. There are no minimum or maximum height or weight requirements. Auditions on August 11, 2018. Evening rehearsals on Sundays, starting in September. Bulls home games until the end of the NBA season (includes Playoffs). Please wear athletic attire and gym shoes to the open audition. Bring water and snacks, if needed. Click here to sign the audition waiver before the August 11th audition.